Are you interested in a free market analysis? What price can you sell your home? Are you a first time home buyer and don't know where to start? Or Are you a move up buyer and know that if you sell now and buy up you will add to your investment? Are you ready to sell an investment property or a family home? Do you want a real estate agent that you can trust? If you WERE able to answer yes, call us today, 336-213-0936! Why a local lender is important. Actually going to blog myself.......Read it! Data last updated Apr 24, 2019 12:07:pm. The data relating to real estate for sale on this web site comes in part from the Internet Data Exchange (IDX) Program of the Triad MLS, Inc. of High Point, NC. Real estate listings held by brokerage firms other than Kelly Wirt Realty Group/Hill Barbour Realty are marked with the Internet Data Exchange (IDX) logo and detailed information about them includes the name of the listing brokers. The broker providing this data believes it to be correct, but advises interested parties to confirm the data before relying on it in a purchase decision. 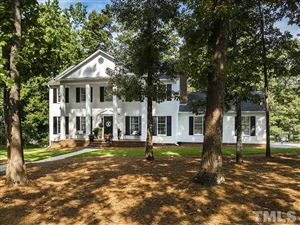 Burlington Alamance County listings last updated Apr 24, 2019 12:12:pm. "I promise to be as highly motivated as you are to accomplish your real estate dreams."